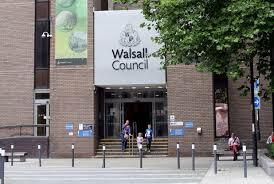 The new Conservative administration on Walsall Council has clearly set out its stall as the most negative, uncaring and undemocratic administration to date. Faced with three very reasonable, Notices of Motion for debate submitted jointed by opposition Liberal Democrat and Labour Councillors , the Tories voted them down without a hint of consideration or apology. The issues for debate called for the setting up of a panel to look at reducing Councillors’ Special Responsibility Allowances by 20%, a review of the current cabinet/scrutiny model that prevails at the council and a report on the possibility of bringing residents across the borough more into the decision making process on how to spend council money at a local level. All very noble things, nothing completely binding on the future actions of the council. Yet without hesitation Walsall’s new Tory masters voted each item down virtually without hesitation. Clearly the Tories don’t care that the scrutiny system is rubbish – their words not ours – don’t want people to have a greater say on how their council tax is spent, and are happy to pick up more money whilst most people are still suffering from the continuing effects of Tory austerity measures. In addition, when Lib Dem Cllr Dan Barker congratulated the Tory Leader for acknowledging that ‘credit must be given to the previous Labour/Lib Dem Administration for taking some bold and difficult decisions’ – his words not ours – and asked him to elaborate precisely which decisions he was referring to, he failed to provide a meaningful answer and inferred that Cllr Barker had not read his report. Charming! And incredible how Cllr barker managed to quote his words without reading them! If those who voted Conservative in Willenhall North and Short Heath this year had seen this meeting, they would have asked themselves what on Earth they had voted for, as the Tory Councillors for the area, like nodding donkeys, dutifully followed their Walsall colleagues saying no to more democracy, no to giving local people more say, but yes to giving their bosses more dosh!